Pantry Pride… Cook’s… and Magruder’s… Oh My! 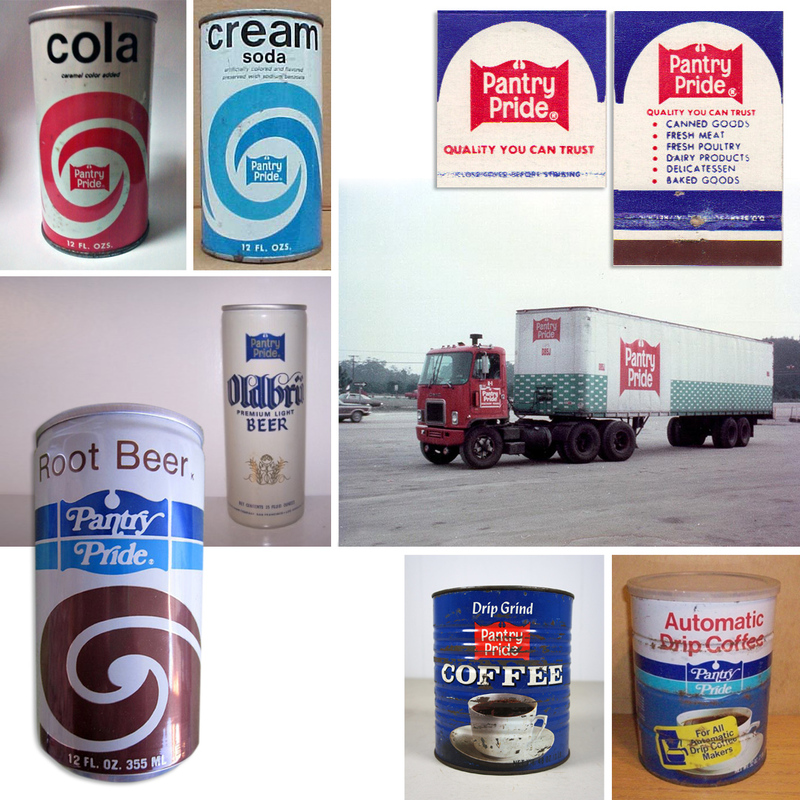 Laurel residents of the 1970s—particularly those in the South Laurel/Montpelier area—filled their pantries with Pantry Pride products for more than a decade. The popular supermarket occupied the north corner anchor spot in Montpelier Shopping Plaza along Rt. 197; a location it had enjoyed for years, essentially competing only against the pricier Giant Food at nearby Town Center. 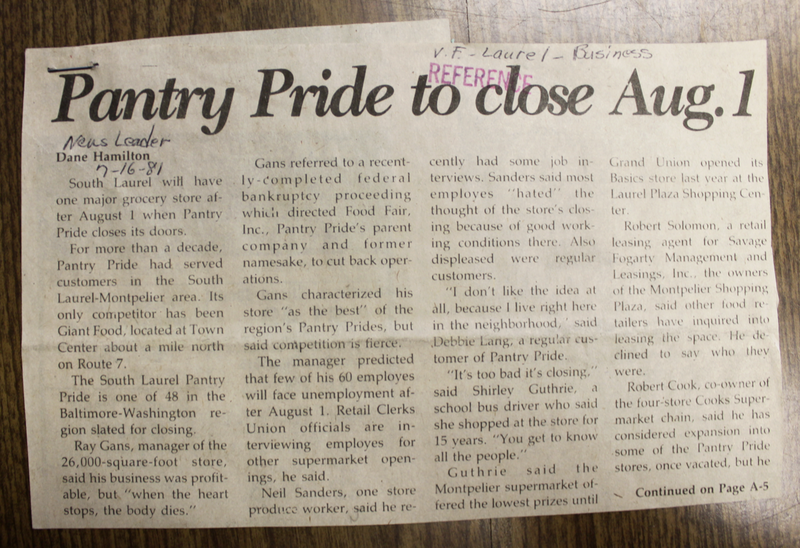 According to a July 16, 1981 clipping from the Laurel Leader, Pantry Pride had been considered the most economical supermarket in all of Laurel—until Grand Union introduced “Basics”, its new store (and a precursor to Shoppers Food Warehouse) a few miles further north at the Laurel Plaza Shopping Center. When Food Fair—Pantry Pride’s parent company—filed for bankruptcy, that spelled the end for 48 locations in the region. On August 1, 1981, the long-time grocery favorite closed its doors. 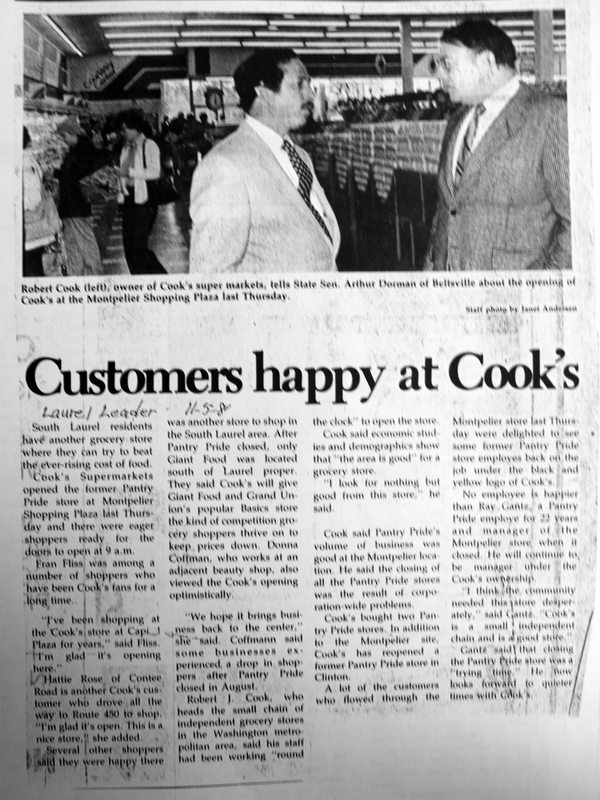 Oddly enough, I have very little recollection of the store that replaced it some three months later, aside from its name—Cook’s Supermarket, part of another small chain of independent stores in the DC area. Instead, I seem to remember Magruder’s occupying the space for most of my youth… although neither it nor Cook’s ever made quite the same impression on me as Pantry Pride. My Dad (R.I.P.) worked for Food Fair/Pantry Pride in Pennsylvania for a decade and a half, as a HVAC/CR technician. Seeing those images with the truck and brands took me back to my childhood, and time spent with Dad. Many thanks for your note! 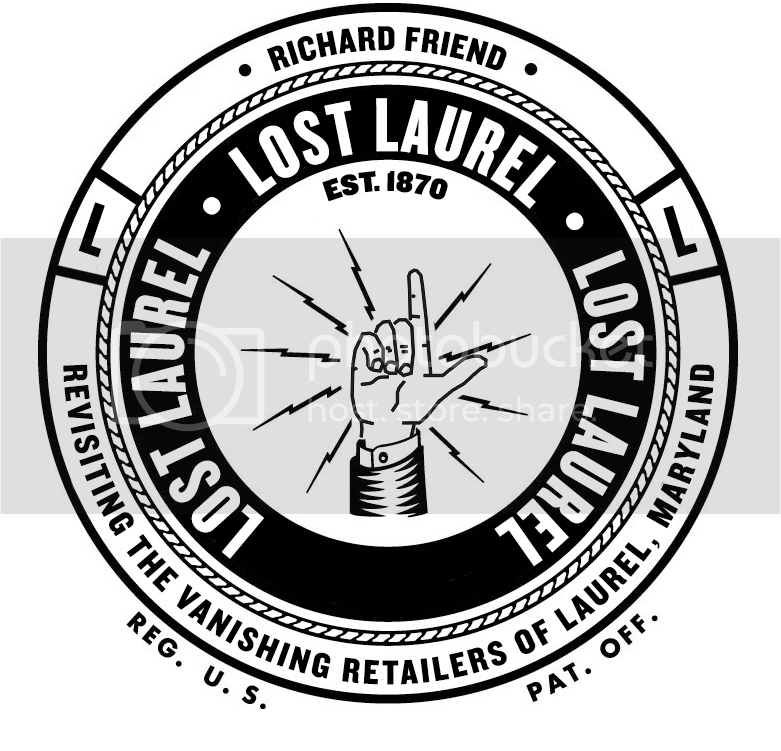 There’s actually a lot more content on the Lost Laurel Facebook page (and I’m able to update that much more frequently). Check it out when you get a chance!